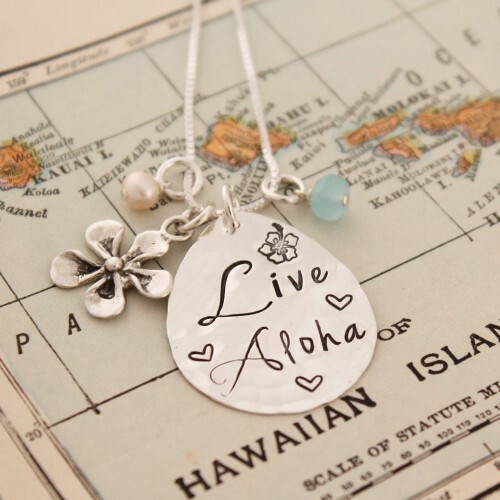 LIVE ALOHA! The perfect necklace to show the world Aloha. 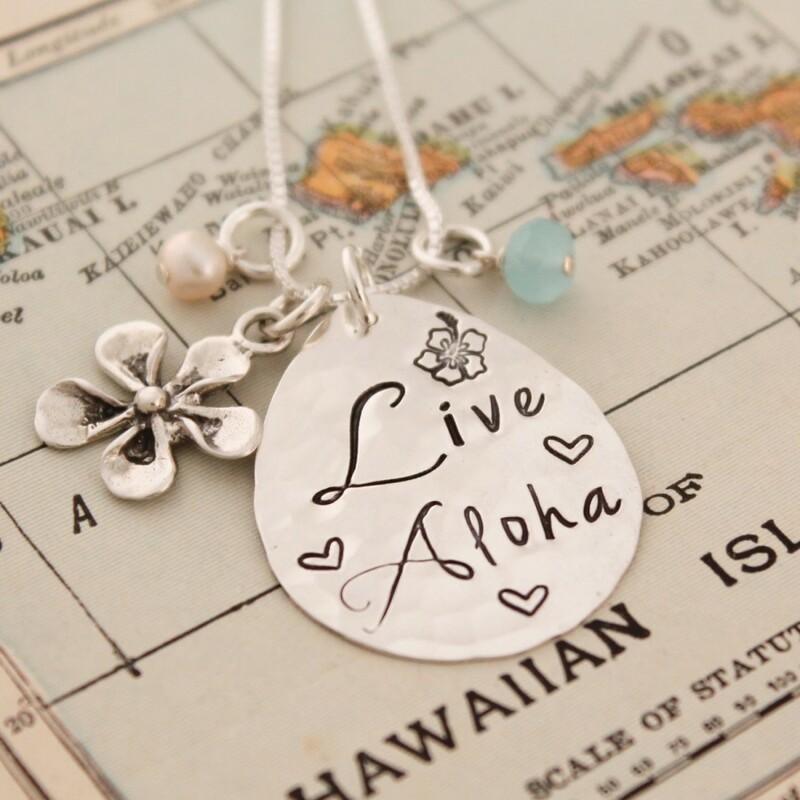 Teardrop shaped, sterling silver hammered and hand stamped with "LIVE ALOHA" in a beautiful fancy font. Beautiful sterling silver plumeria charm and aqua and pearl charms dangle along side the pendant. 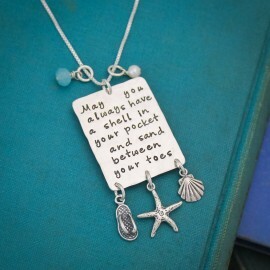 All hang from a sterling silver chain. Teardrop is about 1 inch long. 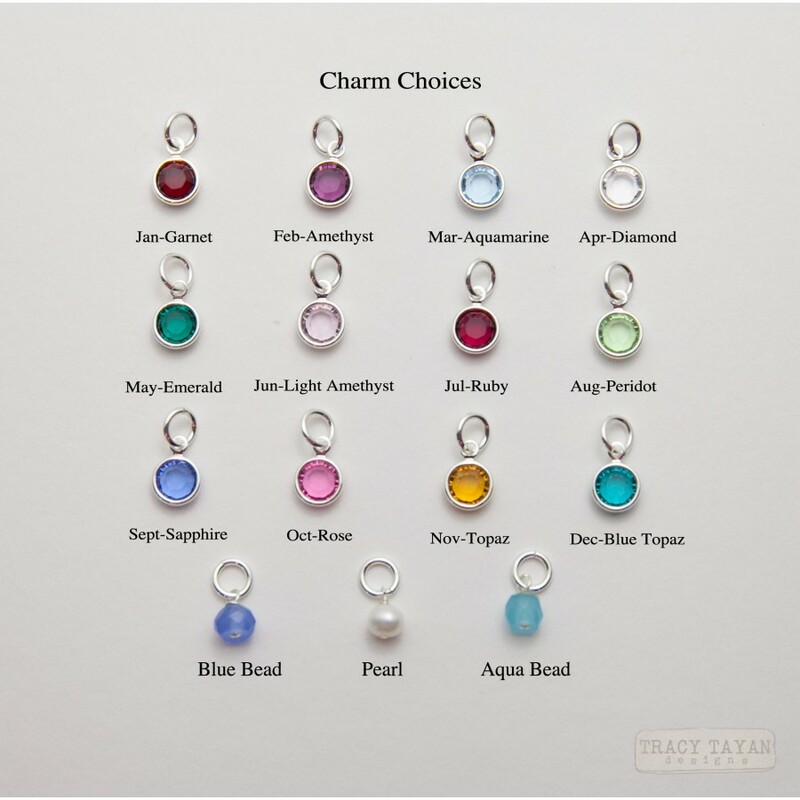 You can choose your charms if you would like to change the color (see photo).